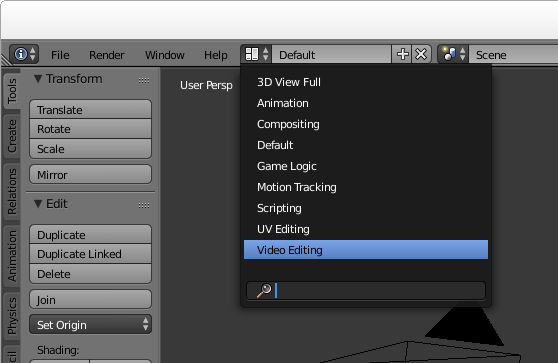 Although it is mostly known for animation, Blender includes a non-linear video editing system that is available in all the current stable versions of Debian, Ubuntu and Fedora. Here are some screenshots showing how to start editing a video of a talk from a conference. A separate audio file with sound captured by a lapel microphone attached to the speaker's smartphone. This is a much better quality sound and we would like this to replace the sound included in the video file. Launch Blender. Review the maximum memory size property. Set it to a value slightly less than the amount of physical RAM in the workstation. 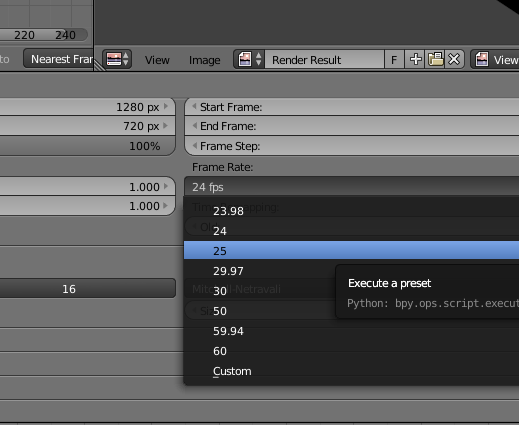 Setting it too low may slow down some operations in Blender. Setting it too high may take memory from other applications and lead to swapping. Now your basic rendering properties are set. 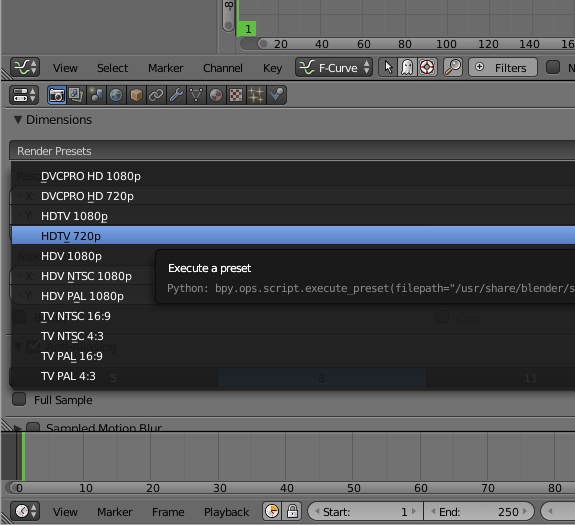 When you want to generate the output file, come back to this panel and use the Animation button at the top. You will need to listen to the strips to make an estimate of the time difference. Use this estimate to set the "start frame" in the properties for your audio strip, it will be a negative value if the audio strip starts before the video. 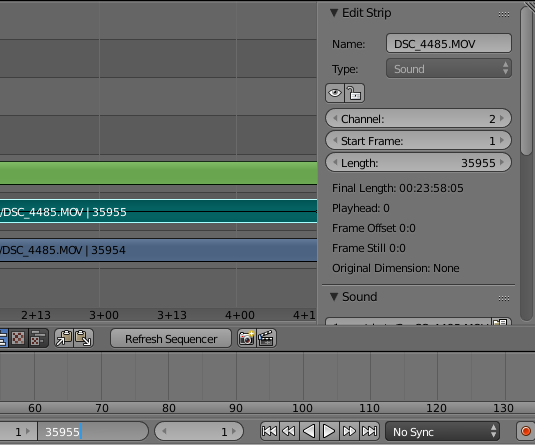 You can then zoom the strip panel to show about 3 to 5 seconds of sound and try to align the peaks. An easy way to do this is to look for applause at the end of the audio strips, the applause generates a large peak that is easily visible. Once you have synced the audio, you can play the track and you should not be able to hear any echo. 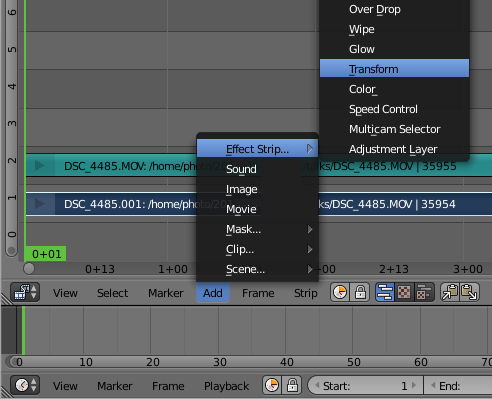 You can then silence the audio track from the camera by right clicking it, look in the properties to the right and change volume to 0. Click the context menu under the Curves panel and choose Properties again. 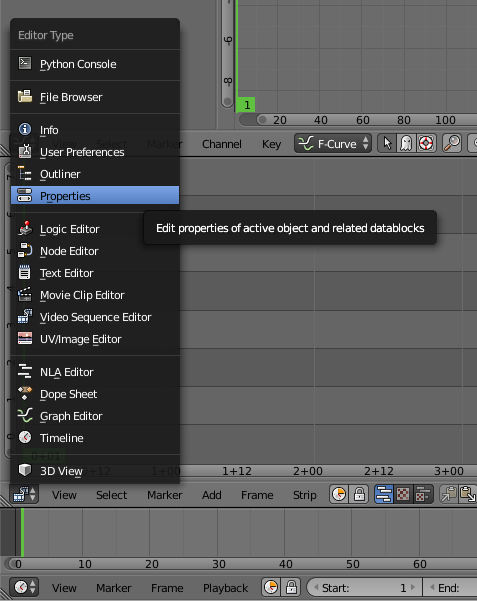 Click the Animation button to generate a sequence of PNG files for each frame. On the Properties panel, click the Audio button near the top. 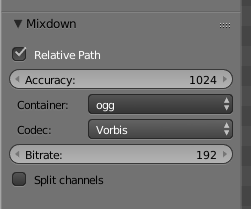 Choose a filename for the generated audio file. Now look at the top right-hand corner of the window for the Mixdown button. 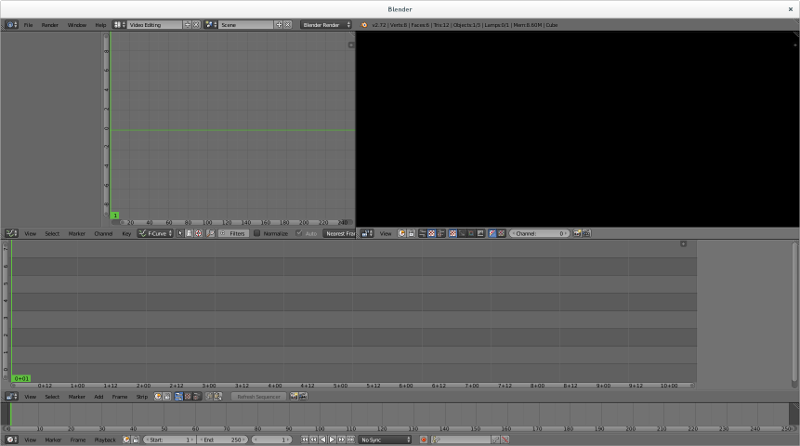 Click it and wait for Blender to generate the audio file. 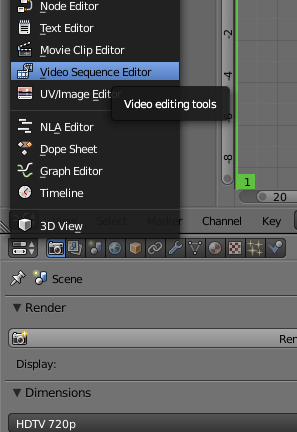 There are plenty of more comprehensive tutorials, including some videos on Youtube, explaining how to do more advanced things like fading in and out or zooming and panning dynamically at different points in the video. If the lighting is not good (faces too dark, for example), you can right click the video strip, go to the properties panel on the right hand side and click Modifiers, Add Strip Modifier and then select "Color Balance". Use the Lift, Gamma and Gain sliders to adjust the shadows, midtones and highlights respectively.